We started out with a mission. Cheap 5 gallon buckets, some dirt and a couple of plants. Well, it didn’t quite turn out like that. The first place we stopped was a local farm supply store, we bought a few large plastic buckets that had been used for cattle feed for a cheap price. But, the more I thought about it, the more I realized they probably wouldn’t fit on my balcony. 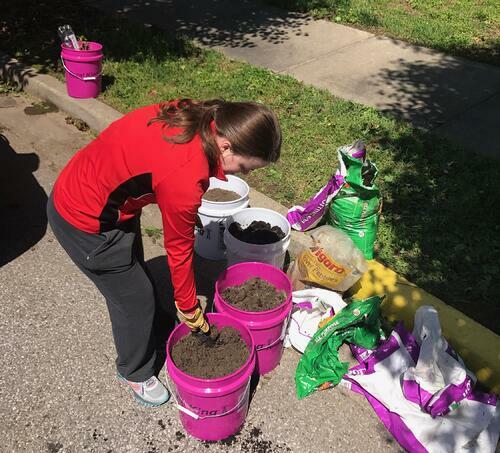 Then, I went back to my original idea and found 6, 5-gallon buckets for under $3 a piece. My budget and I were on speaking terms again. Only bad thing was it literally took all day for me to buy just the containers and vegetable plants! Ridiculous I know! 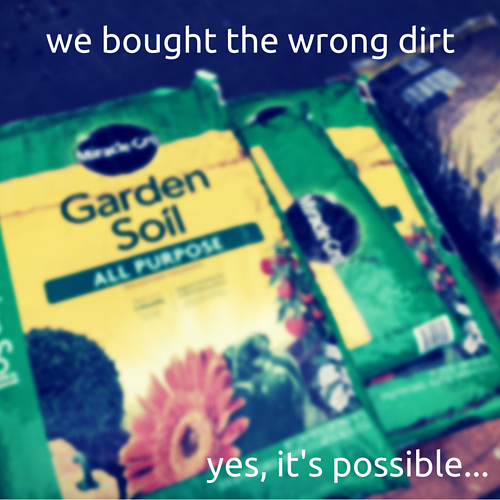 On to lesson number 2: Buying dirt isn’t as easy as it sounds. Yes that happened to us. After opening the bag at home and trying (and failing) to plant some flowers in it, I saw that note and realized I’d bought the wrong thing. But, after talking with some other gardeners I decided to keep it and mix with potting soil. 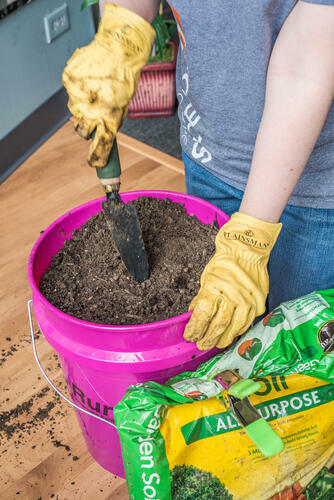 The potting soil is a much lighter soil so water can penetrate it and get to the roots. The garden soil has a lot of dense nutrients, so I left it to serve as a fertilizer. What does that mean? Well, I’ll explain it in depth in a later post so keep coming back to Cookstuff.com! But what it meant for me right now, was that I would have to wait another week before I could plant. Well, I could plant, but it wasn’t recommended by the man who has been gardening and farming successfully for most of his life. So we waited until the next weekend to plant our little garden. So, that brings me to lesson number 4: As frustrating as this experience has already been, it’s challenged me in a new way. I’ve had to take my hands off the keyboard and put them in dirt (which I generally try to avoid). I was able to learn, yet again, that I like having a plan, but when it goes awry, that doesn’t mean I can’t still move forward. By the time the dirt fiasco happened I was almost ready to give up. But with a little encouragement and being reminded that I wasn’t doing this all alone, my determination was refueled. I also learned that my boyfriend and I don’t just watch Netflix well together, we work well as a team too! He navigated my frustrating quirks that day with patience and laughter, and I learned to listen to his advice and encouragement instead of staying inside my own head all day. What advice do I have for you? Give it a try! The idea of having some of our favorite vegetables to pick straight from my balcony still sounds wonderful to me. I’m not sure my garden will thrive, but I’m excited about all the lessons I’m learning and the challenges I’m overcoming along the way. So, let’s be a little adventurous together and start a container garden! I’d love to see your pictures and hear your stories! Share them with us on Facebook! Also, if you’re looking for more garden tips, videos and instructions on how I put together my garden, look here! Container gardening can be done on your balcony, back patio or even beside your actual garden. Plus, you can make it a family event! 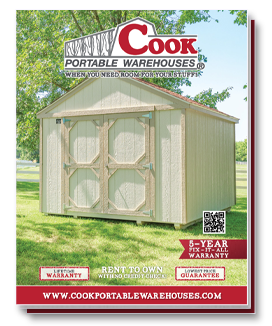 If you’re needing more space for your garden supplies, think about purchasing a Garden Shed or Utility Shed from Cook, these are popular with gardeners and families alike!